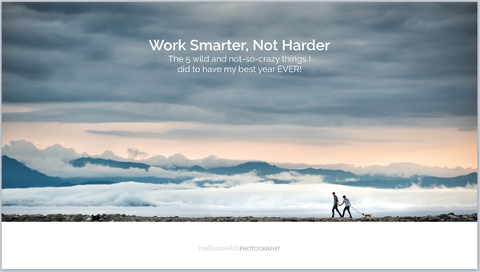 Melissa is a National Award-Winning Master Photographer, Adventurer, Entrepreneur & Educator. Since founding her company in 2005, she has made a living through wedding, portrait, commercial, fine-art and adventure lifestyle photography. She started her twenty-year career working in camera shops, labs & darkrooms as a teenager. She has gone on to own a photo gallery, publish books and magazines, authored a book for photographers and has recently revolutionized the global photo pricing system with her new software. Her vast experience in the photographic industry gives her a unique perspective and puts her in a prime position to speak about many aspects of the being a professional photographer. Her speaking style is fun, energetic and transparent. Her programs are jam-packed with value. Check out her example programs below. business running like a well-oiled-machine. talks on knowing your numbers I’ve seen in a long time. how she sold a wedding album to 100% of her clients. helping me make my business more viable and special! bring her work to the next level.